Join PawSox broadcaster Bob Socci throughout the 2013 season with the defending Governor's Cup Champions. PAWTUCKET, R.I. — Late Friday afternoon, on the eve of his first promotion to the major leagues, Jonathan Diaz was in the middle of a discourse about defense on the diamond. He was speaking specifically about awareness and anticipation, understanding the situation of the game and being proactive as much as reactive when balls are put in play. Though an infielder, to reinforce his point, Diaz marveled at the outfield excellence of his Pawtucket Red Sox teammate Jackie Bradley Jr.
Diaz knows of what he speaks. He too has a habit of making the difficult look routine with a glove on his left hand. He’s also well aware that much of what makes a great play — especially for those who turn the extraordinary into ordinary — takes place well before contact. “I think one of the key aspects of this game is to always try to think ahead,” Diaz said. “It’s almost like a game of chess, trying to anticipate everything that happens before it happens, so that you’re ready for it when it does occur. “I see pretty good,” Bradley laughs. “The eye tests came out very well, I believe, in spring training. I think it was some ridiculous numbers like 20/12 and 20/15 vision…I guess that’s a pretty good thing. By first investing the mental preparation, the physical act seems second nature. For Bradley, the competition begins during batting practice. Again borrowing DiSarcina’s words, Bradley “power shags” while teammates hit in the cage. Simulating game-like conditions as much as possible, Bradley is the rare player who doesn’t use those pregame minutes, which often amount to an on-field social hour, for catching up with teammates. He’s more intent on catching fly balls. But lest one think it’s strictly serious business, Bradley makes it known that such hard work is in good fun. “It’s just fun to me, just being out there catching fly balls and doing a couple of tricks here and there, just to mess around,” he adds, smiling. “It keeps it interesting. One dissolves into the next on the right-center field video board, each part of a momentary break in the roughly three hours of a Pawtucket Red Sox home game. As names and faces — many as youthful as the players — come and go, it is a time for reflection. 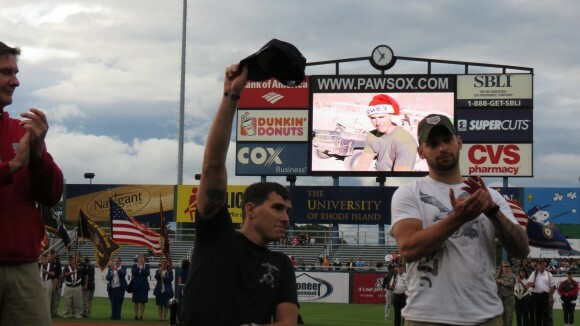 Seventy-two evenings and afternoons a year, from April through August, the PawSox pause play before the seventh inning to honor our citizen soldiers. But on one of those dates, each of the last 33 summers, the club has extended its appreciation from the opening of McCoy’s gates to their closing. 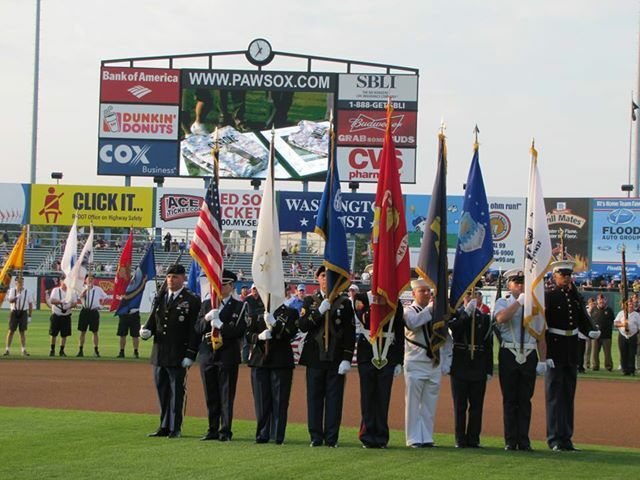 Tonight the PawSox are scheduled to host the Toledo Mud Hens, while staging their 34th annual Armed Services Appreciation Night. “It’s really our honor to take a moment to say, ‘Thank you,’” said team Vice President and General Manager Lou Schwechheimer, who was in on the origins of the idea to pay such tribute. Following a 1979 appearance by club executives aboard the battleship USS Massachusetts, then Adjutant General of Rhode Island Major General Leonard Holland, suggested the PawSox hold a special night at the ballpark. Schwechheimer, as well as the club’s president Mike Tamburro and late owner Ben Mondor, absolutely agreed. In the decades since, as men and women have continued answering the call of their country in new theaters of combat, the special evening has evolved. “We led (the first) parade with World War I veterans. It was magic,” Schwechheimer remembers. “Guys were 90 years old, and the players and fans were blown away. We’ve seen now, 30-plus years later, having World War II veterans who are older, it’s the same way. There are so few who can walk out on their own. It’s (our) incredible honor. 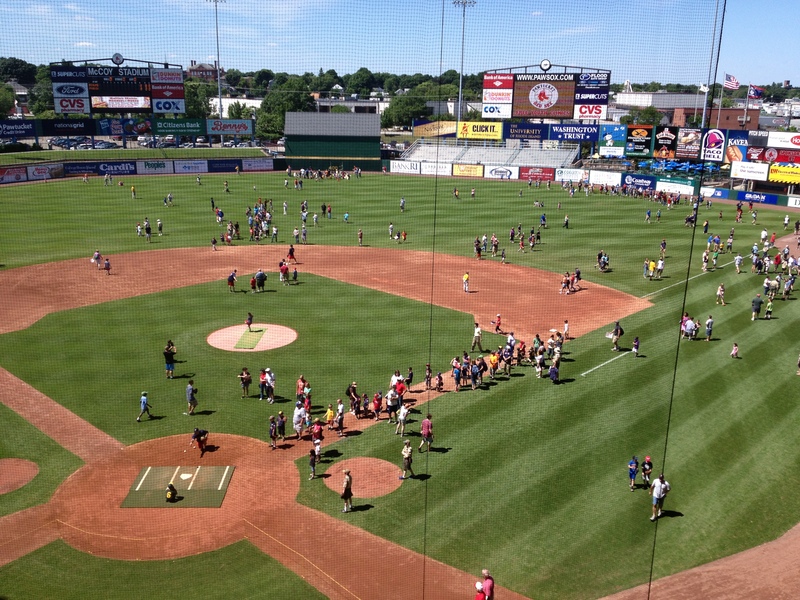 According to Jeff Bradley, the PawSox director of community relations, approximately 30 organizations and veterans groups participate annually in the event. It is solemn, yet also features plenty of patriotic pomp and circumstance. Last year, per usual, Lt. Col. Gloria Berlanga of the Rhode Island National Guard emceed pre-game ceremonies that included a performance by the 88th Army Band. Guards of Thunder sounded a cannon salute and the 143rd Airlift Wing of the Rhode Island Air National Guard executed a fly-over. The Sox made a statement of their own, taking the field in camouflage jerseys. But the enduring impression was that of a young Marine representing America’s latest ‘Greatest Generation,’ the one waging the War on Terror. A year earlier, Corporal Kevin Dubois of Lincoln, R.I. was on his second deployment as a scout sniper in Afghanistan. He was trying to clear a helicopter landing zone to enable medics to evacuate an injured comrade, when he went to lower himself into the prone position. Dubois stepped back with his left foot and detonated an improvised explosive device (IED). Remarkably, he survived the blast. Albeit at a severe cost. He lost both legs at the hip. On the stadium video screen, a picture showed a younger Dubois lifting his wife Kayla in his arms. Meanwhile, from a wheelchair on the center of the diamond, a young hero who sacrificed for others delivered a ceremonial first pitch. It was all the PawSox could do to say thanks. TOLEDO, OHIO — Two days into his second week with the Pawtucket Red Sox — and a night after hitting his second International League home run — Xander Bogaerts was still shaking his head. And at the same time, still smiling; at the same thought. “Who would believe it, to be 20 and be in Triple-A?” Bogaerts wondered aloud, his words sweetened by the Caribbean accent of a kid born and raised on Aruba. His own innocence aside, anyone familiar with the 6-foot-3 shortstop, whose precocious skill-set belies his baby face and tender age, understands that Bogaerts is right where he ought to be. 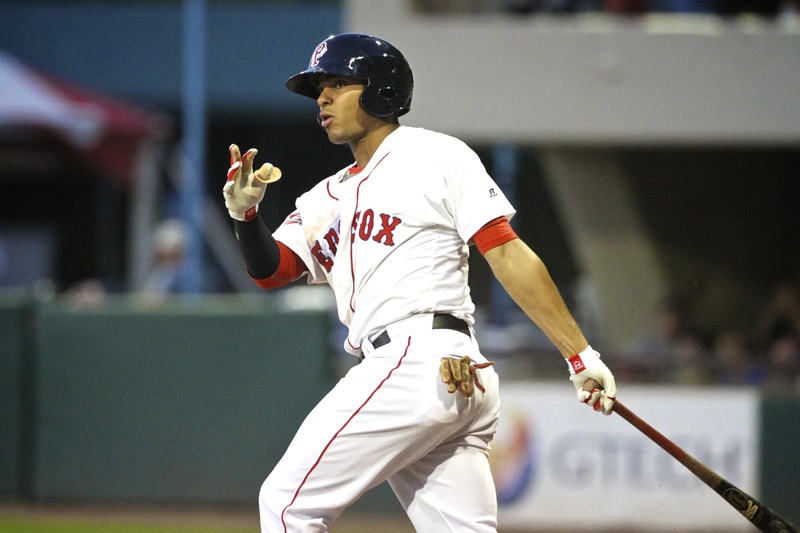 As Boston’s Minor League Offensive Player of the Year in 2012, which he finished by batting .326 in 23 games for Double-A Portland, Bogaerts commenced his spring representing the Netherlands in the World Baseball Classic; continued it with five appearances for the Red Sox in spring training; and capped it by returning to Porland, where he hit .311 with 6 HR, 35 RBI and a .407 on-base percentage in 40 games. Though he won’t turn 21 until October, Bogaerts was clearly ready for Triple-A by the start of summer. As for autumn, he just might find himself in the big leagues. Believe it or not. “There’s no such thing as a prospect in Triple-A,” Red Sox general manager Ben Cherington told reporters last week. “You’re either ready to help the big league team or you’re not. As evidenced by his overall numbers, there’s plenty of room for improvement between Bogaert’s first nine games with the PawSox and his high talent ceiling. He had six hits in his first 34 at-bats (.176). Eleven of his 28 hitless at-bats ended in strikeouts. Still, as early as his very first Triple-A plate appearance, a walk, Bogaerts has impressed Pawtucket manager Gary DiSarcina. On Saturday, Bogaerts echoed DiSarcina’s analysis, answering questions in English, one of the four languages he speaks fluently. Following is that conversation, which aired on the PawSox Radio Network. TOLEDO, OHIO — Entrusted with a 4-0 lead in the late innings, you validate the faith of your manager by retiring all six men you encounter. A day later, even if only as a technicality, you’re nonetheless handed a demotion. The next afternoon you’re promoted again, and by that evening are back out there getting outs crucial to a come-from-behind victory. Welcome to the world of Brock Huntzinger, who began this week in Columbus, living the yo-yo existence of a minor league reliever, bouncing up, down and up again between Double-A and Triple-A. Huntzinger, who made his 2013 debut with the Pawtucket Red Sox last weekend at home, accompanied his teammates on this eight-day trip into Ohio. On Monday, he carried the ball across the finish line, completing a shutout started by Rubby De La Rosa. On Tuesday, he was transferred — on paper, if not in person — to Portland. 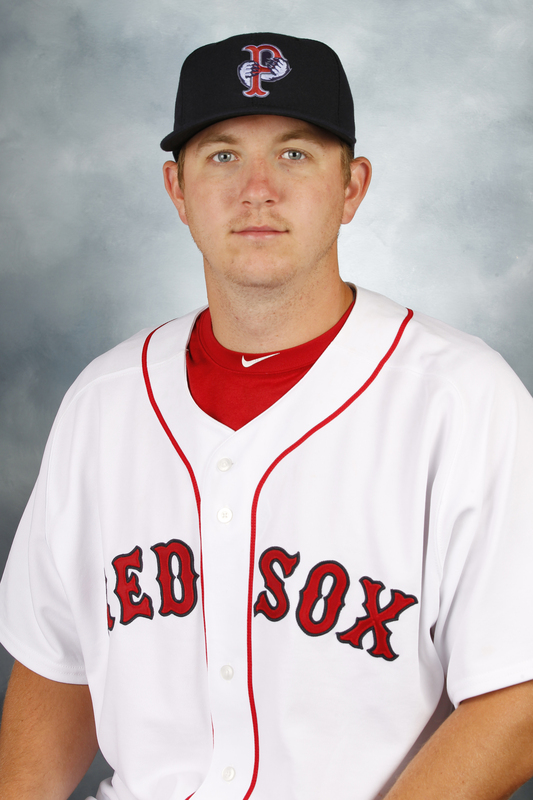 By Wednesday Huntzinger was back on the PawSox roster, actively helping them rally from a 4-0 deficit to a 6-5, 10-inning triumph. They were three days in June that, more or less, typify the ride he’s been on since last August; ascending and descending on a roller coaster winding from Portland to Pawtucket. 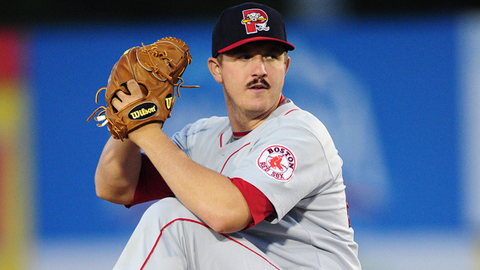 In 2012, after moving from the SeaDogs’ starting rotation to their bullpen, Huntzinger was elevated in time to register two regular-season appearances and one Governor’s Cup playoff outing for the PawSox. He reported to spring training, pitched in two Grapefruit League games for Boston and spent considerable time on the Triple-A mound. But at the close of camp, Huntzinger headed further north than Rhode Island, returning to Maine as Portland’s closer. In 25 games, he went 3-0 with a 2.32 ERA and converted 13-of-14 save opportunities. Word arrived of a promotion to Pawtucket; but with it a caveat from manager Kevin Boles, who cautioned Huntzinger that his stay in Triple-A might be short-lived. Technically, it was. Two appearances, three scoreless innings and for 24 hours — if that — a return to Double-A. Back with Pawtucket, Huntzinger is where he believes he belongs. “I’m pretty confident that I can go out and pitch at any level,” says Huntzinger, who also competed in the Arizona Fall League each of the last two years. “Last year I was kind of nervous getting to Triple-A (and) making my first outing. It’s like, ‘Oh man, it’s a new level, I haven’t been here before.’ But coming in this year I know I’m capable of pitching at this level and I feel like I belong here. To stay within himself Huntzinger has to be honest with himself. Just as he was in adopting and truly accepting his new role as a reliever in 2012. COLUMBUS, OH — I have a confession to make. Monday morning aboard a Southwest Airlines flight from Providence to Baltimore, I failed to power down my electronic device. As the plane landed, music coursed through the wires connecting a pair of ear buds to the iPad resting on my lap. At least my seat was upright and my service tray was locked in place. Then, I never reclined the one or lowered the other. I awoke on Boston’s South Shore at 2 a.m., allowing enough time to drive to Pawtucket for a 4 o’clock bus to T.F. Green. Shortly after 6, the PawSox were off to BWI on the way to Columbus. No different than virtually everyone else in our party, I was soundly sleeping soon after climbing to cruising altitude. In no time, or so it seemed, I was jolted from my slumber as the wheels touched down. Uh oh, I realized; Tony Bennett was still singing; The Dave Brubeck Trio was still playing. Aware of my indiscretion and alerted to the need to make amends, I made sure to silence the music before our descent on Columbus. On the first day of my last road trip as a PawSox broadcaster, I certainly didn’t want to fly afoul of the FAA. Once in Ohio’s capital, energy still lower than usual, I headed up High Street to Columbus’s Short End and lunched at a cafe in the Italian Village. If that wasn’t revitalizing enough, a refreshing cup of Jeni’s Splendid Ice Cream, as well as a cup of double espresso fueled my walk to the ballpark. 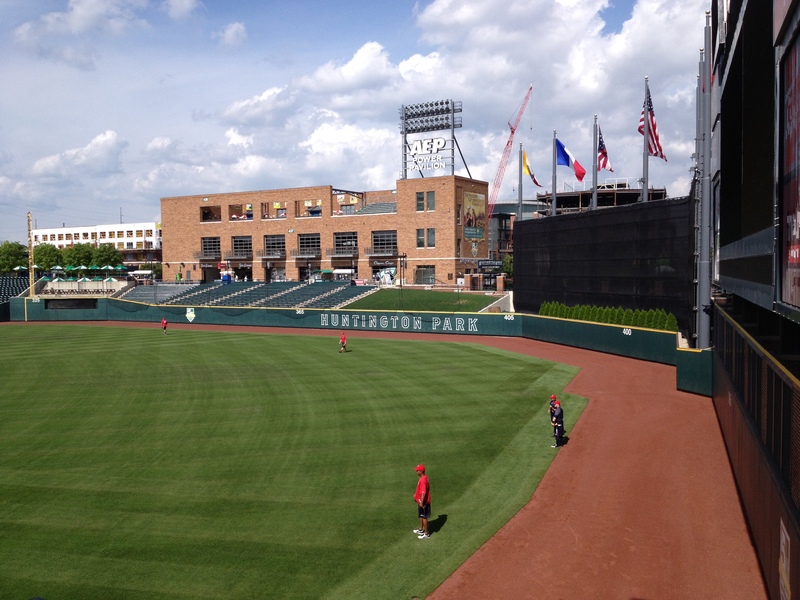 And that’s where I experienced a true eye-opener, taking in the sights of beautiful Huntington Park, the home of the Clippers on the edge of Columbus’s Arena District. Built a few blocks from Nationwide Arena, where the NHL’s BlueJackets skate, Huntington is a charming retro park that opened in 2009. Now that I’m awake enough, I’d like to take you on a brief — albeit far from complete — tour. 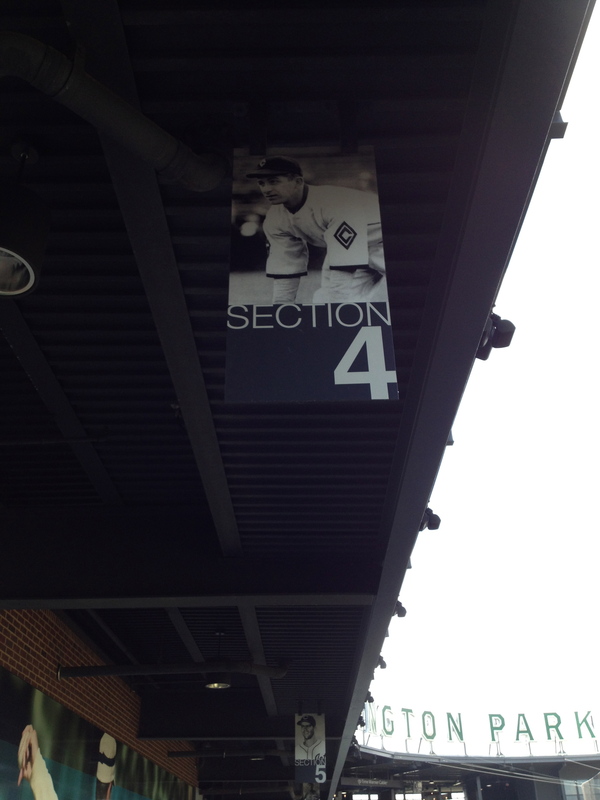 The first look inside Huntington Park is afforded by the openings in the right-field wall adjacent to Nationwide Boulevard, inspired by the knot holes of yesteryear’s stadiums that used to allow a free peek at the action. There is a layer of 32 suites. This one offers a direct view of the left-field pavilion, which features a 110-foot bar, six second-story patios and rooftop bleachers a la Chicago’s Wrigleyville. 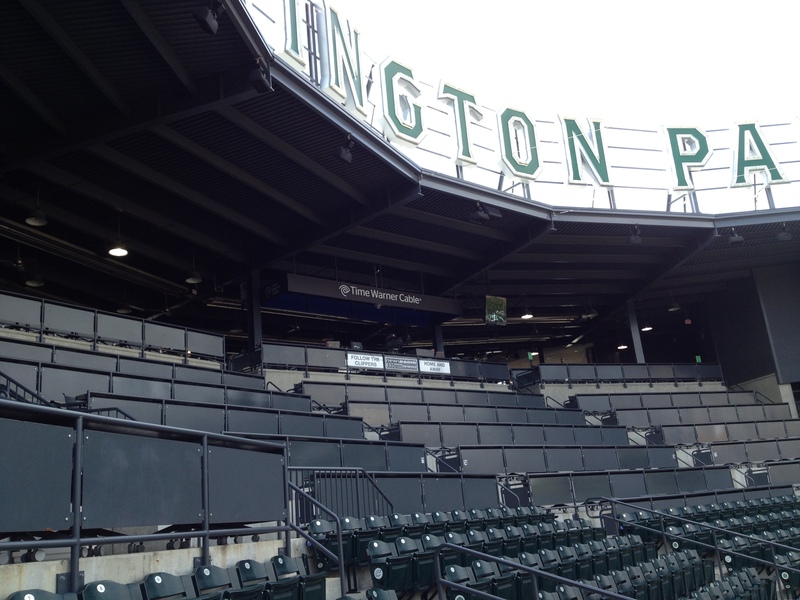 Balconies overlook the picnic and BBQ spots in the right-field corner. There are 318 feet between home plate and the foul pole. 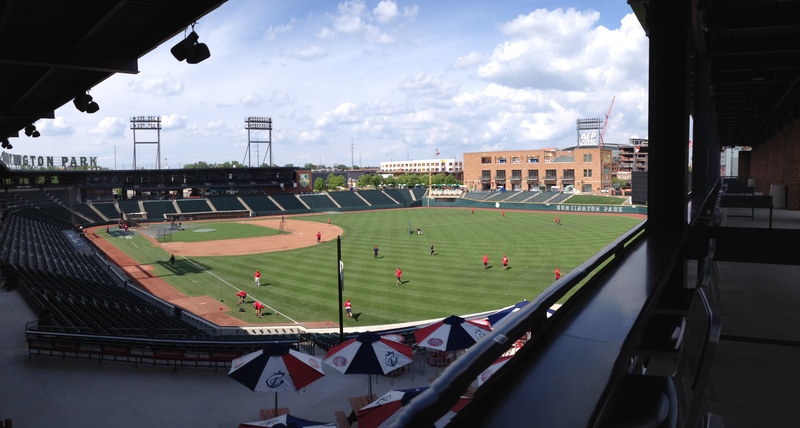 As the Clippers take batting practice, here’s a look at those right-field balconies from the box seats slightly to the third-base side of home plate. 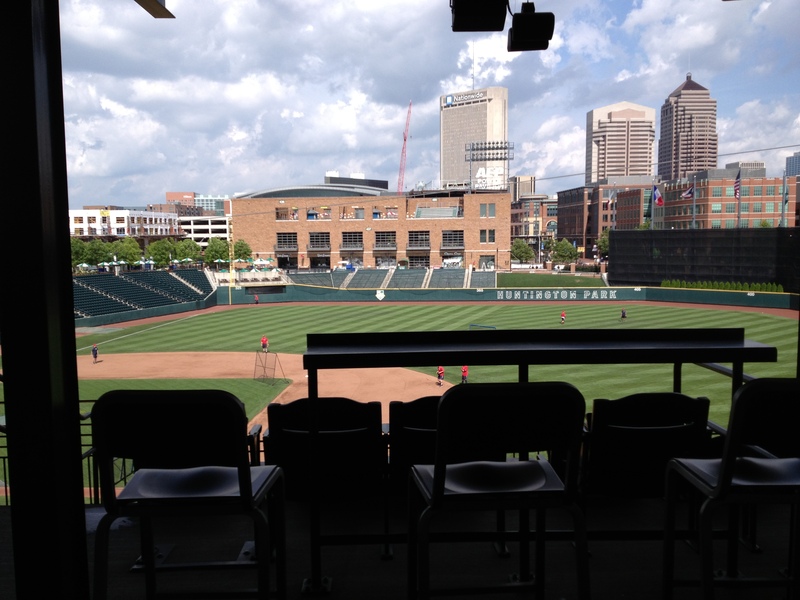 In addition to the 42 loge boxes where fans view the game from rolling and swiveling office chairs, the home plate club area includes an open-air broadcast location. There is a large bar flanked by two grills behind the media seating. 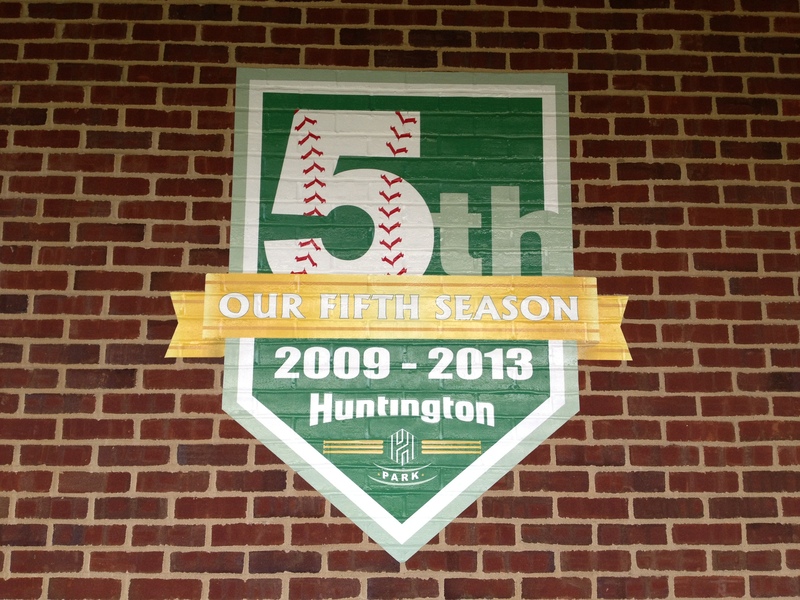 Like McCoy Stadium in Pawtucket, Huntington Park pays homage to the game’s history. According to team historian Joe Santry, the stadium houses photos of all but a handful of players who’ve worn Columbus colors since the late 19th century. 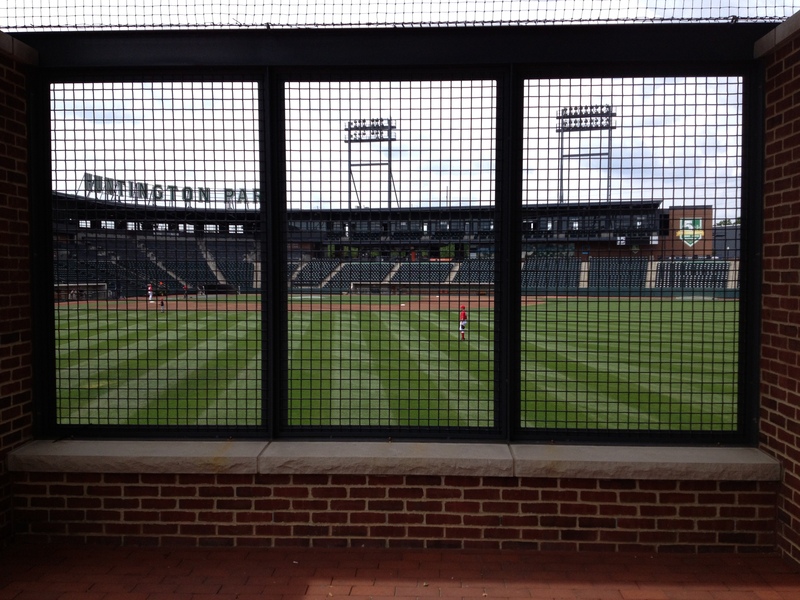 With the skyline of Ohio’s capital as a backdrop, Huntington Park helps to shape the complexion of every game with its varying dimensions and the staggered height of its outfield wall. From pole to pole, left to right, the fence goes from 12 feet tall to 8 feet to 16 feet to 22 feet. The left-field foul pole stands 325 feet from home plate, and the padded wall snakes to 365 at the edge of the berm to 405 at the corner of the ‘hitters eye’ to 400 in dead center. It then works its way to 365 feet out in right-center field, before angling back to 318 at the pole in right. 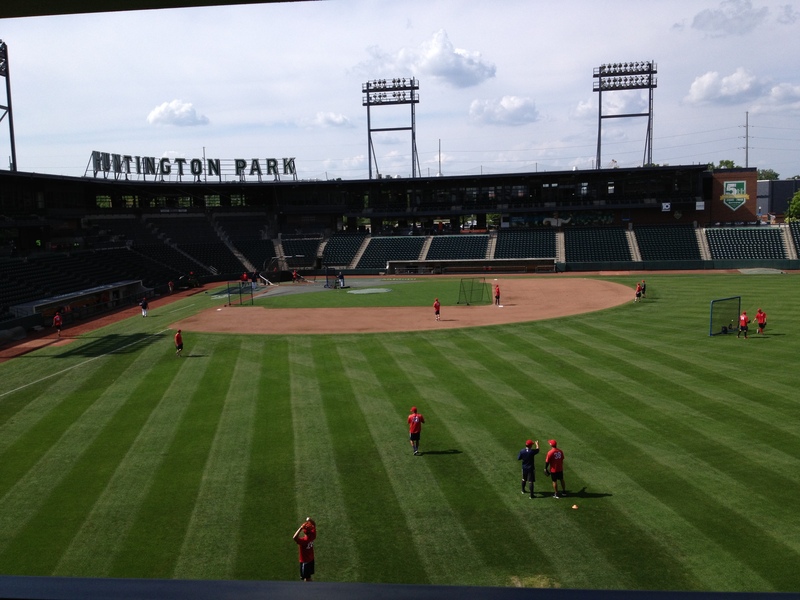 With so many vantage points at Huntington Park, almost too numerous to explore on a single visit, a game in Columbus is bound to command your attention. Even when you had a hard time keeping your eyes open on the way here. PAWTUCKET, R.I. — Officially or otherwise, summer showed up a week early. It arrived at McCoy Stadium on Saturday afternoon, four hours before the Pawtucket Red Sox were scheduled to continue a series against the Buffalo Bisons that commenced with 16 innings of a doubleheader the previous night. The temperature was in the mid-70s; the sunshine as brilliant as ever. What made it perfect for a picture-postcard were the hundreds of kids wearing caps and toting gloves, moving from one station to the next. Waiting on them were members of the PawSox who’d taken the field early after a late Friday for the second of four free youth clinics this season. Manager Gary DiSarcina, the coaches and a number of players offered instruction at various positions. Men who, it’s understood, have a lot of little boy in them were teaching boys and girls about the game they play. Sharing their knowledge, they were spreading a love for their sport. A couple of evenings earlier, with the sun nowhere to be seen from muddied New England, there was another McCoy Stadium scene worth remembering. 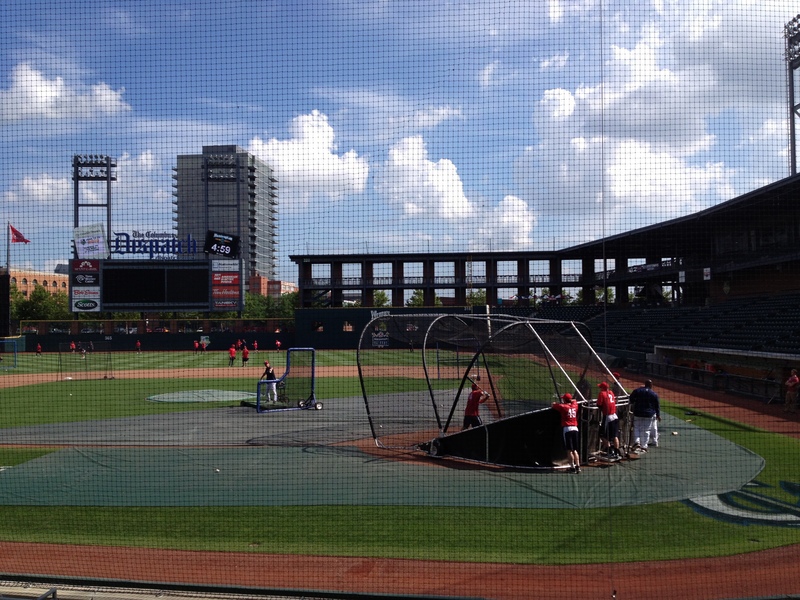 The Sox and Bisons were awaiting an inevitability: the announcement of a postponement. 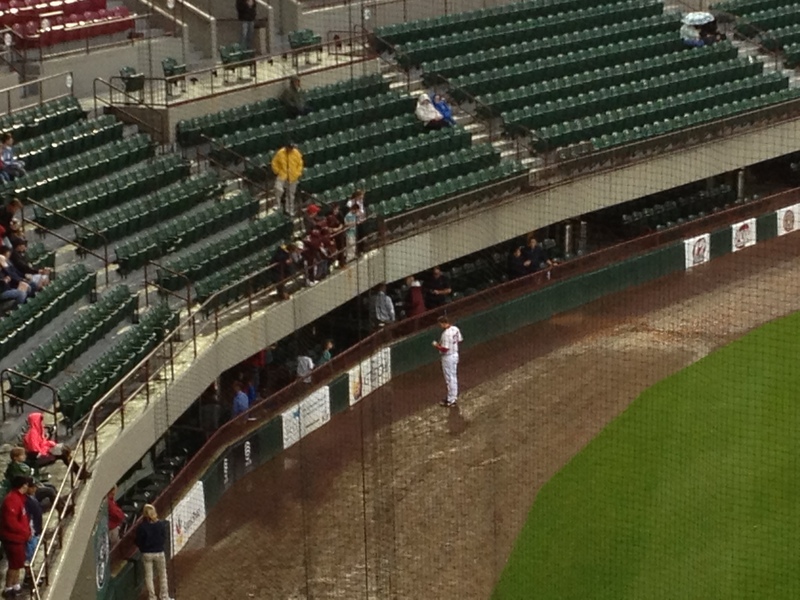 One player stood on a messy warning track, signing autographs for youngsters who were, likewise, sticking around in the rain. In this case, it was catcher Ryan Lavarnway. It might as well have been any number of his teammates, such as one of the guys conducting Saturday’s clinic. 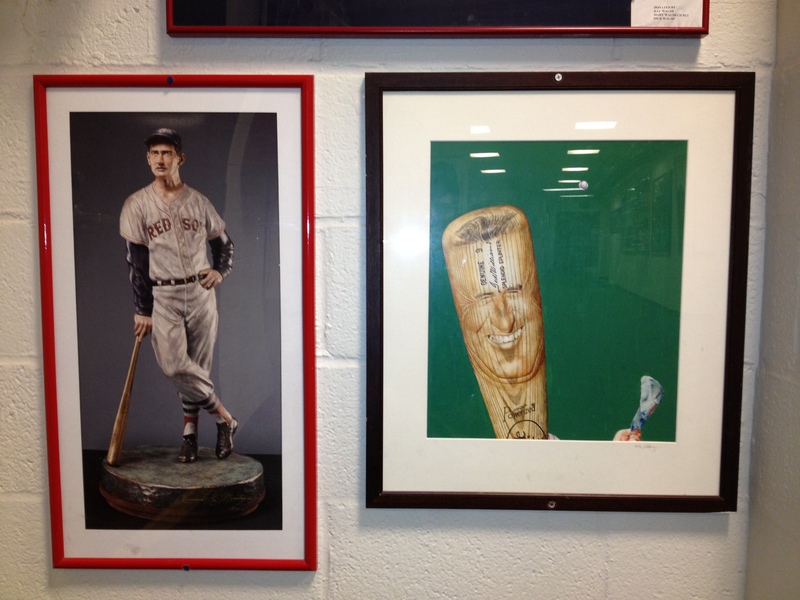 Baseball, particularly in Pawtucket, has plenty of ambassadors. Mercury was also falling. It felt more like mid-April than mid-June. Yet, on a damp and dreary night at the ballpark, someone was spreading sunshine. PAWTUCKET, R.I. — Still a bit blurry-eyed after staying up for the opening act of the Stanley Cup Finals between the Boston Bruins and Chicago Blackhawks, I awoke Thursday to the account of a Red Sox win over the Tampa Bay Rays in The Boston Globe. Turning the pages of the paper, which remains one of life’s simple joys — especially while sipping morning Joe — I was struck by a couple of thoughts. Initially and immediately, I noted the times of the two games. The Sox and Rays required 3 hours, 22 minutes to reach a 2-1 conclusion in nine innings, only two of which featured any scoring. The B’s and Hawks completed the near-equivalent (actually 93 percent) of two full contests, encompassing five intermissions, in 4:38. At their same pace, Boston and Tampa Bay would have needed almost 6 1/2 hours to finish 16-plus innings (93 percent of two whole games). Indeed, baseball is a timeless game. More importantly — and as such, more enduringly — I read Pete Abraham’s story about the Red Sox-Rays encounter and was reminded of how dramatically one’s baseball fortunes can change. During a career. And, often, within a season. Abraham led by writing that “Daniel Nava deserves votes for the All-Star Game” and later chose the word “indispensable” to describe the current Red Sox and former PawSox outfielder. As you’d expect, Abraham supported his notions, which might have seemed unthinkable at any number of points along Nava’s baseball odyssey. For example, Nava ranks in the top four among American League outfielders in four significant offensive categories: on-base percentage (first), average (second), RBI (second) and OPS (fourth). “He’d get my vote,” said Boston manager John Farrell, offering a public endorsement of Nava’s All-Star candidacy. As Abraham also pointed out, since Nava’a name isn’t included on the ballot, he’ll have to be a write-in candidate. Considering how often Nava could have easily been written off, the mere mention of him making the mid-summer classic is truly amazing. Perhaps you already know his back story. If not, the condensed version follows. Nava was once a last-place batter for his high school team; failed to make the squad at Santa Clara University as a walk-on; stayed involved in the sport as an equipment manager; transferred to a junior college; returned to Santa Clara on scholarship; went undrafted by major league baseball; and needed a second chance to hook-up with an independent club. Along the way, he captured a conference batting crown; tore up the Golden League as a Chico Outlaw; was discovered by the Red Sox; and hit a grand slam on the first pitch of his first big-league at-bat in 2010. Even then, major league success for Nava was anything but assured. 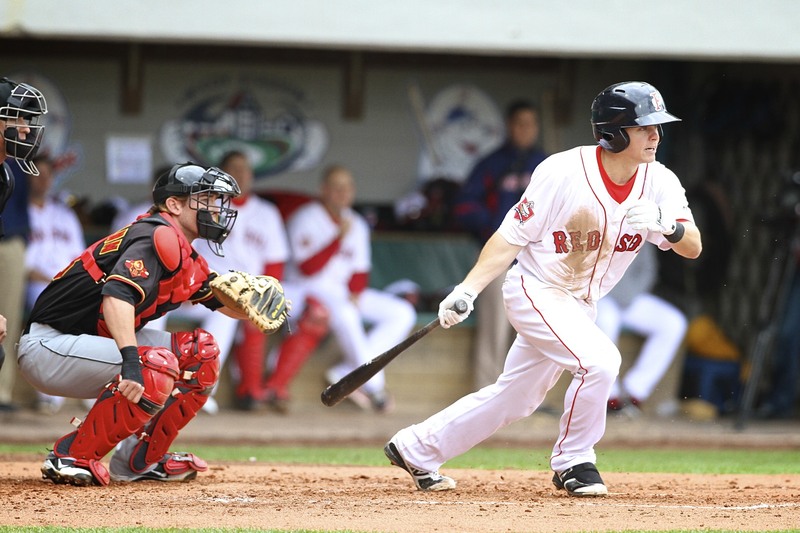 Two years ago, he was coming off an all-star caliber campaign in the International League when he returned to Pawtucket for the start of the 2011 season. He ended April with a .159 batting average and didn’t hit his first home run until the final night of May, giving him a paltry 12 RBI in 42 games. To their credit, the Red Sox stuck with Nava, who closed 2011 with a .268 average and .372 OBP after delivering seven homers and 22 RBI in his last 32 games. Given his status — not exactly a prospect at the then age of 28 — many, if not most other clubs would have cast Nava off. Boston didn’t, and today is reaping huge dividends from someone who, as Abraham asserted, continues to prove himself indispensable. Another name very much in the latest Boston baseball news is that of Alfredo Aceves. After giving up seven earned runs in 3 1/3 innings of a rain-shortened rout at the hands of Oakland on April 23, it was obvious to most observers in Red Sox Nation that, at best, Aceves needed a change of scenery. Which many believed would mean a new organization. Instead, the Sox dispatched Aceves and his 8.66 ERA to Pawtucket. Since making his PawSox debut on May 2, he’s gone 2-1 with a 3.52 ERA in five starts, limiting opponents to 28 hits in 30 2/3 innings pitched. 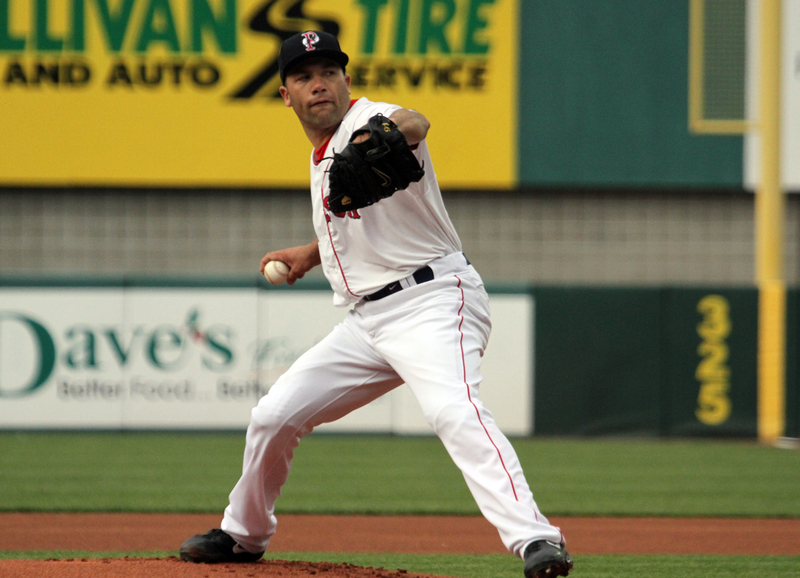 Subsequently, Aceves has earned two promotions to Boston. On May 27 he held the Phillies to one run in six innings of a 9-3 victory. A couple of weeks later, starting in St. Petersburg about an hour and a half before they dropped the puck in Chicago, Aceves again allowed just a single run in six innings. 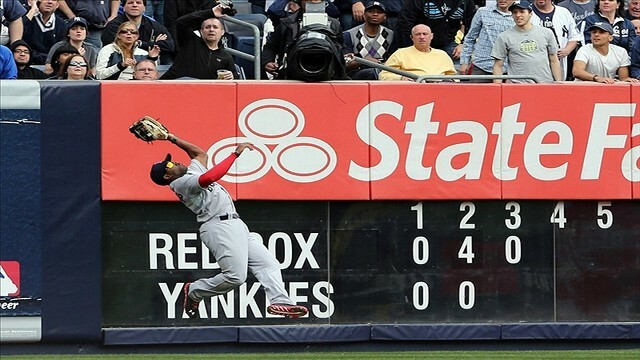 Months from now, should the Red Sox play into baseball’s postseason, neither effort should be forgotten. Each is a reminder of something else that can always be said about the timeless sport. Baseball is a game of redeeming values. SYRACUSE, N.Y. — Saturday in Syracuse, Pawtucket Red Sox shortstop Brock Holt was hitless in four at-bats, lowering his overall batting average to .281. Both numbers are noteworthy because Holt had hit safely in his previous 15 games, averaging 1.6 knocks per appearance, while elevating his average from .217. In assembling the longest hitting streak by a member of the 2013 PawSox, Holt went 25-for-56 (.446) Eight of those outings included at least two hits. Holt actually started trending hot six days before beginning his streak. On May 14, his average was .173; his on-base percentage .259. He then collected hits in five of the next six games. A little less than a month later, Holt entered the weekend hitting .287. Of course, such tears aren’t unprecedented. Just last summer, when Holt was employed by the Pittsburgh Pirates organization, they were the norm. At Double-A Altoona, he captured the Eastern League batting title with a .322 average. Promoted to Triple-A Indianapolis in early August, Holt batted .432 (41-for-95) in 24 games; 14 of them mult-hit outings, including eight three-hit performances. Overall, his .344 average for the Bucs’ affiliates ranked third among minor leaguers with at least 450 at-bats. Holt was called up to Pittsburgh to start September and concluded his first major league stint with a .292 mark (19-for-65) in 24 games. Among them was a four-hit outburst against Houston on Sept. 4. A day after Christmas, however, the Pirates traded Holt to the Red Sox. The principles in the multi-player trade were relievers Joel Hanrahan, who joined Holt in transit to Boston, and Mark Melancon, who went the other way. After leaving a solid impression on the Sox hierarchy during spring training’s Grapefruit League schedule, Holt was poised to get another look at the big leagues. But through April, he was batting .157 with a .237 OBP. In May, those figures jumped to .349 and .439. Seven games into June, Holt was hitting .379, while reaching safely at a 40-percent rate. Appearing on Sunday’s radio pre-game show from NBT Stadium, as you can hear by clicking on the link below, Holt attributes his 2013 turnaround to patience and confidence; the former helping to breed the latter. The day after wearing a collar for the first time in 16 contests, Holt joked about starting anew and chasing down Joe DiMaggio’s 56-game streak. On the second pitch of his first at-bat, he homered. One down. Fifty-five to go. 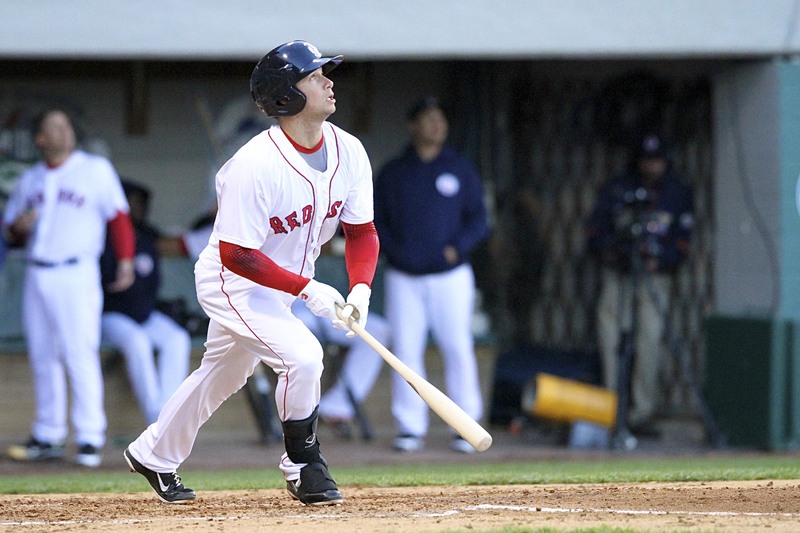 Will Middlebrooks connects against the Buffalo Bisons in 2012. PAWTUCKET, R.I. — In so many ways, it was just like not-so-old times. Will Middlebrooks struck his pose in the right-handed batter’s box. Gary DiSarcina stood about 100 feet away, coaching third base. A hitter and his manager at a minor league ballpark in an old mill town roughly three-quarters of an hour by car from The Hub of their baseball universe, Fenway Park. Perhaps it seemed they were standing apart the first time they were brought together; in the summer of 2008, in a placed called LaLacheur Park. Except that the skinny kid who once underwent the growing pains of a young pro as a Lowell Spinner wasn’t so skinny anymore. And to his once-and-again skipper, was no longer a kid. Middlebrooks is no longer the 200-pound teenager plucked out of Class 3-A Liberty Eylau High School, with its enrollment of approximately 700 students, in Texarkana, Texas. Five years older and 20 pounds heavier, he is the third baseman for the Boston Red Sox, in Pawtucket as he recovers from lower back problems. 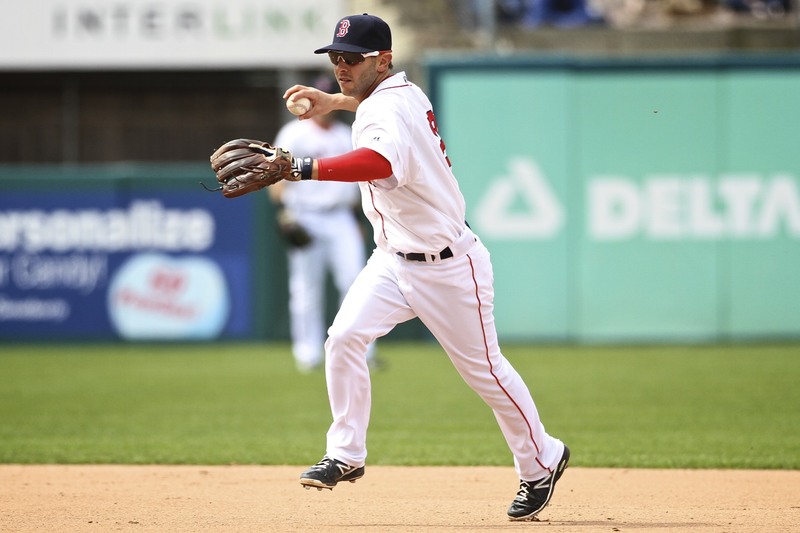 Though struggling at the time of his late-May injury, caused by a collision with catcher David Ross, Middlebrooks hit 15 home runs and drove in 54 runs in 267 at-bats for Boston in 2012. Before Middlebrooks, no Red Sox rookie hit as many homers since Ellis Burks belted 20 in 1987. Local writers voted Middlebrooks the club’s Rookie of the Year, despite starting the season in the minors and ending it due to a wrist fracture on Aug. 10. 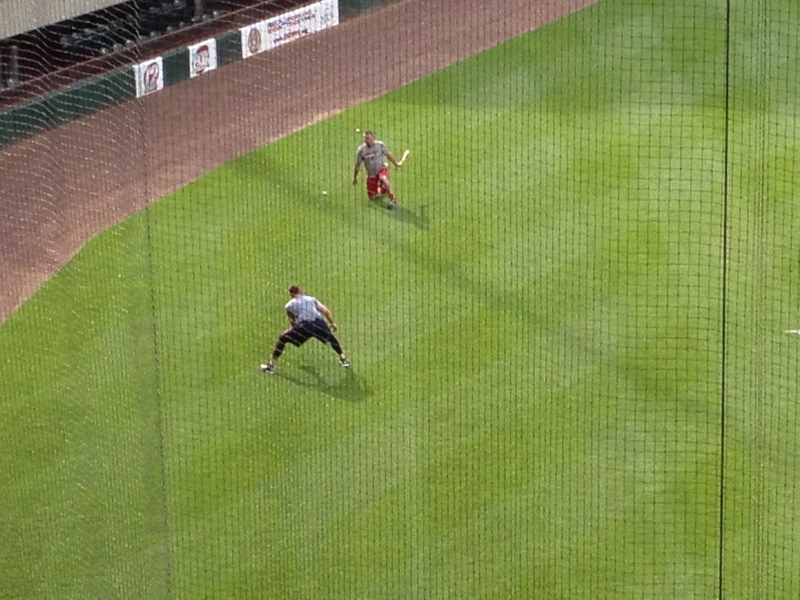 Middlebrooks was reunited with DiSarcina for extra work on Wednesday. But back in mid-July of ’08, a month into his pro career, a much younger and thinner Middlebrooks was batting .187. Older pitchers in the New York-Penn League, which is comprised mostly of college draftees, were overwhelming him. Numbers aside, DiSarcina didn’t like what he was seeing. Mainly because of what he wasn’t seeing. So he sat down with Middlebrooks for a heart-to-heart talk. “I wanted him to understand that he could compete. At that point in time he wasn’t competing when he got in the batter’s box,” DiSarcina recounted. “It was a reality check. He’s a big kid, a proverbial big fish (in a) small pond, where he came from. He was a young high school kid making a position change from shortstop to third (base) in a college, short-season league. And he was getting confused with sliders and change-ups. He was swinging at everything. 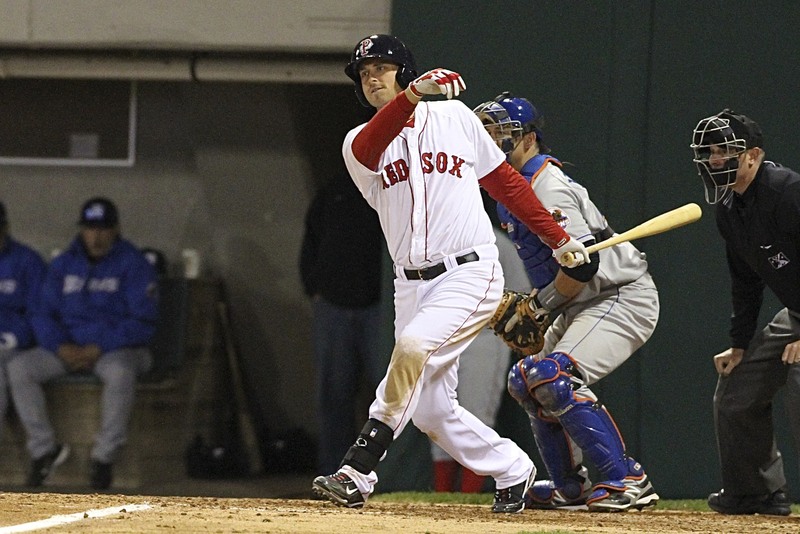 On July 20, 2008, Middlebrooks went 3-for-3. He hit safely in nine of the next 10 games, and he kept hitting until the season stopped and his average rose to .254. A few hours after reiterating his 2008 message to Middlebrooks, DiSarcina watched the Boston third baseman bat for the PawSox. His club trailed Charlotte, 4-3, in the bottom of the seventh inning. With two on, the count reached three balls and a strike. Already possessing two RBI from an earlier groundout and single, Middlebrooks drove the next pitch to right-center field. It left the park, giving Pawtucket a lead it never relinquished. Middlebrooks rounded third and slapped hands with DiSarcina. He and the PawSox were on their way to winning the competition. 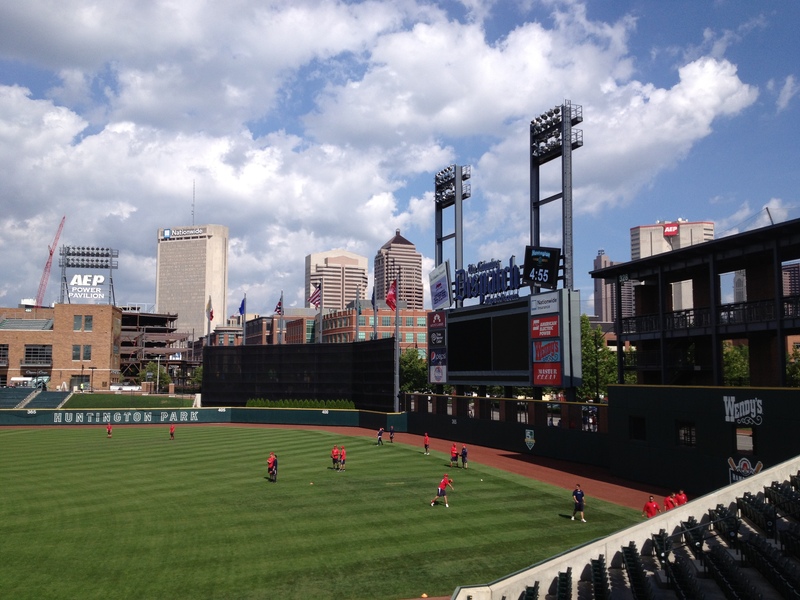 PAWTUCKET, R.I. —Last Thursday afternoon, Mike Pagliarulo sat inside the large room housing two batting cages under the stands of Victory Field in Indianapolis, where he serves as the first-year hitting coach of the Triple-A Indians. Still sweating from the thick lather he worked up while pitching to the players under his watch, Pagliarulo was transported in time and place. A native of Medford, Mass. who grew up as a left-handed hitting Red Sox fan in the nearby town of Winchester, he harked back to his recent visit to Pawtucket. 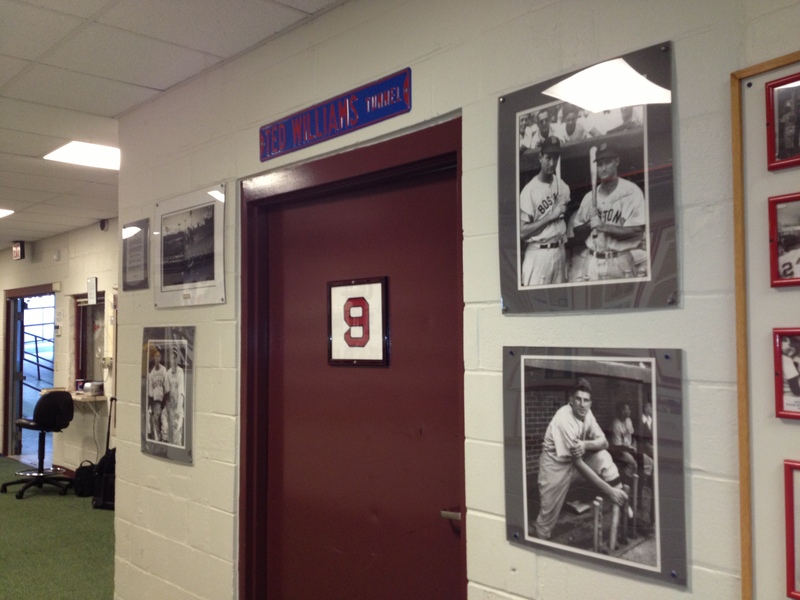 In these parts, there’s no mistaking the number or the nicknames: Teddy Ballgame and The Splendid Splinter. 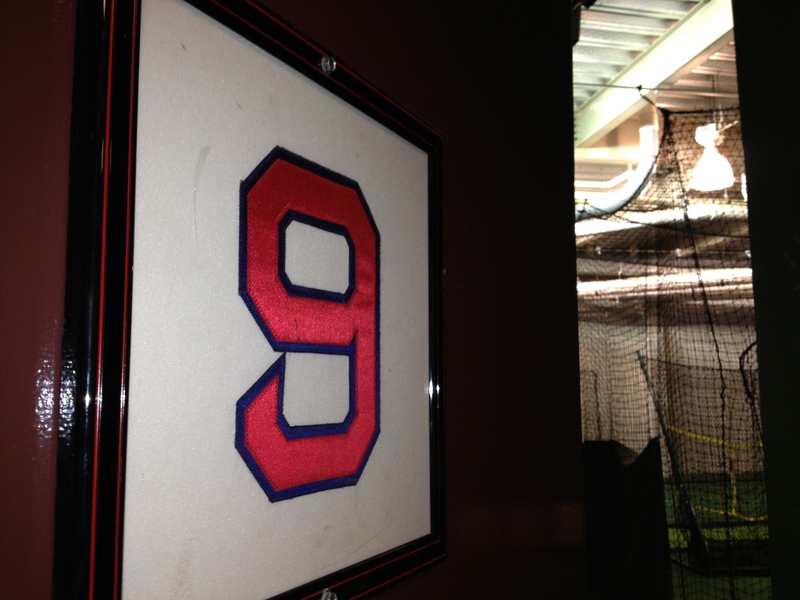 To Pagliarulo, who wore three uniform numbers during his own 11-year major league career, it holds the same meaning.